Perfect when space is at a premium. Rubbermaid Commercial Untouchable Waste Container, Half-Round, Plastic, 21gal, Beige - Heavy-duty wastebasket provides a large 21 gallon capacity in minimum space. Half-round design allows you the convenience of putting a receptacle in a tight spot. Plastic construction is rustproof and easy to clean. Wastebasket meets the sanitary needs of restaurants, snack areas and restrooms. 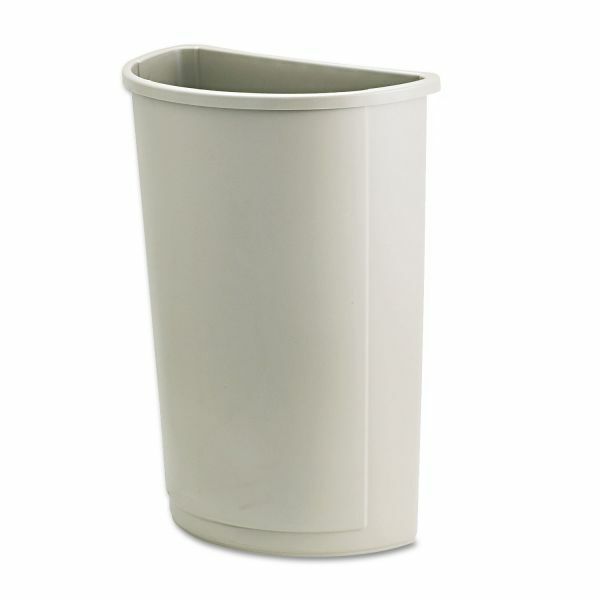 Half-round wastebasket uses a half-round swing top (sold separately).